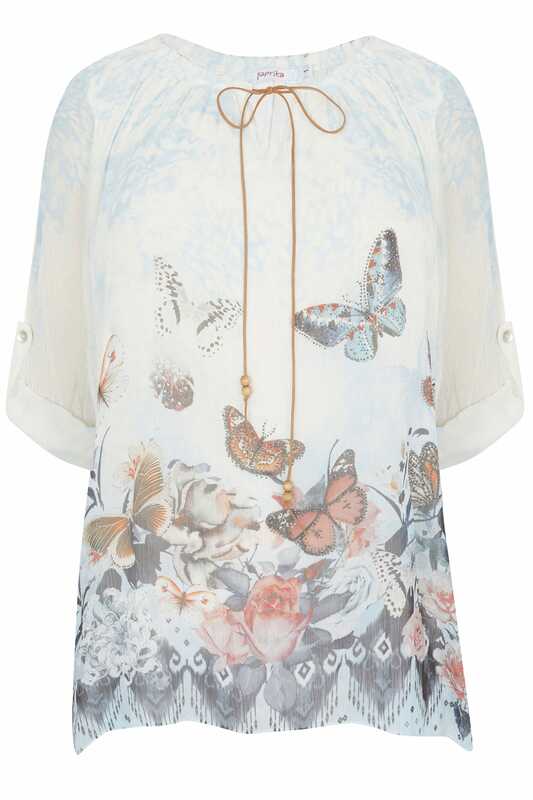 In a woven design, this stylish blouse features a butterfly print with embellishment to the front. 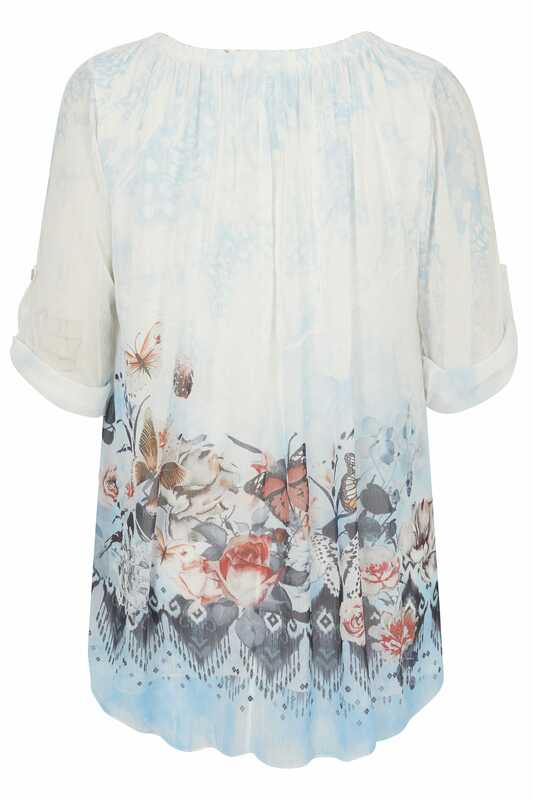 Ideal for smart casual occasions, team with skinny jeans and mules for an on-trend day to night look. 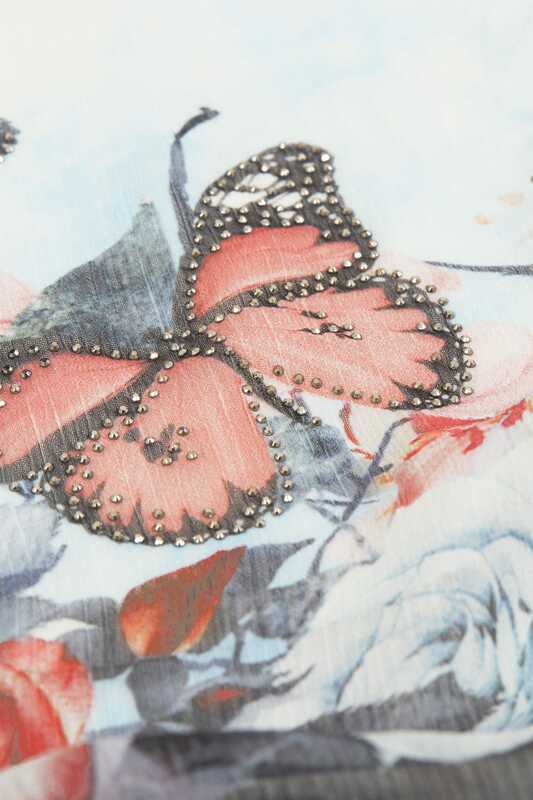 We love the floaty chiffon fabric.